Using named day delivery: Order this product within 10 hrs and 14 mins for guaranteed Tuesday delivery. 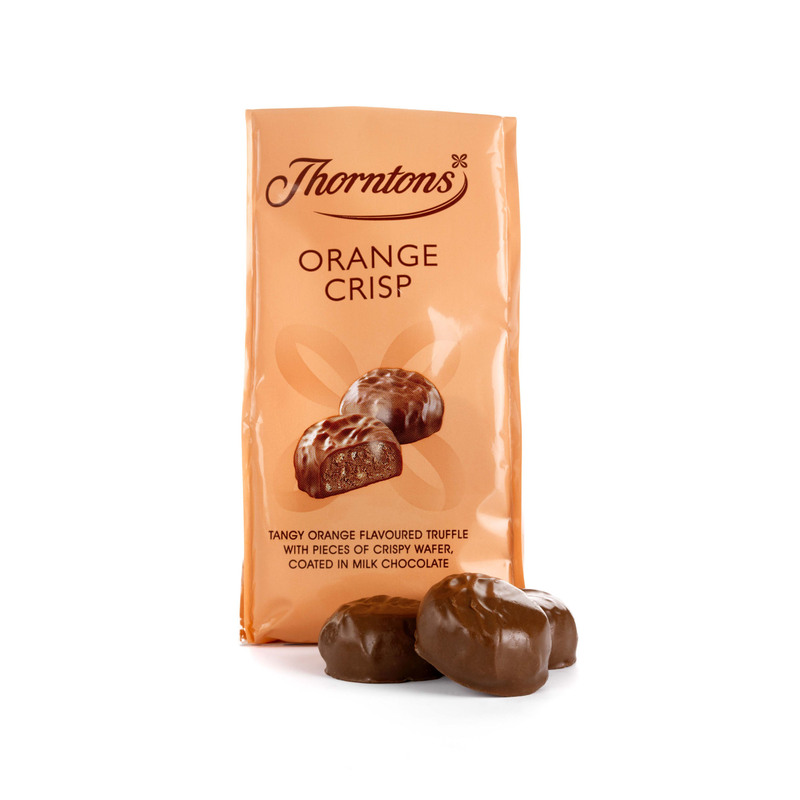 The tangy truffle in our Orange Crisp chocolates goes perfectly with a generous coating of finest Thorntons milk chocolate, making a zesty, sweet treat that is impossible to say no to! 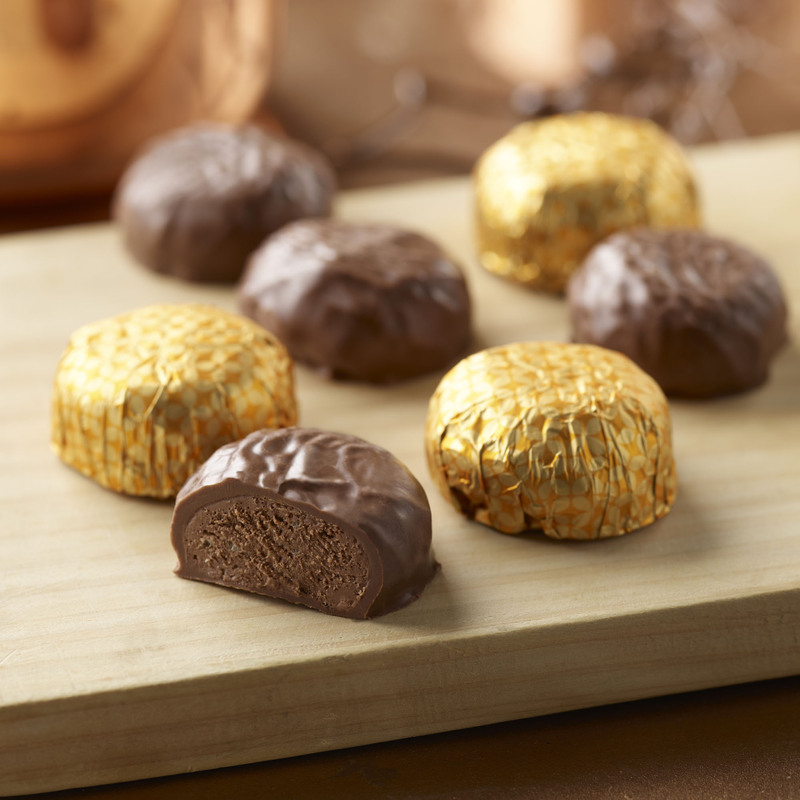 Tiny pieces of crisp wafer add a crunchy texture to this chocolate and orange combination, contrasting beautifully with the smooth feel of the milk chocolate. 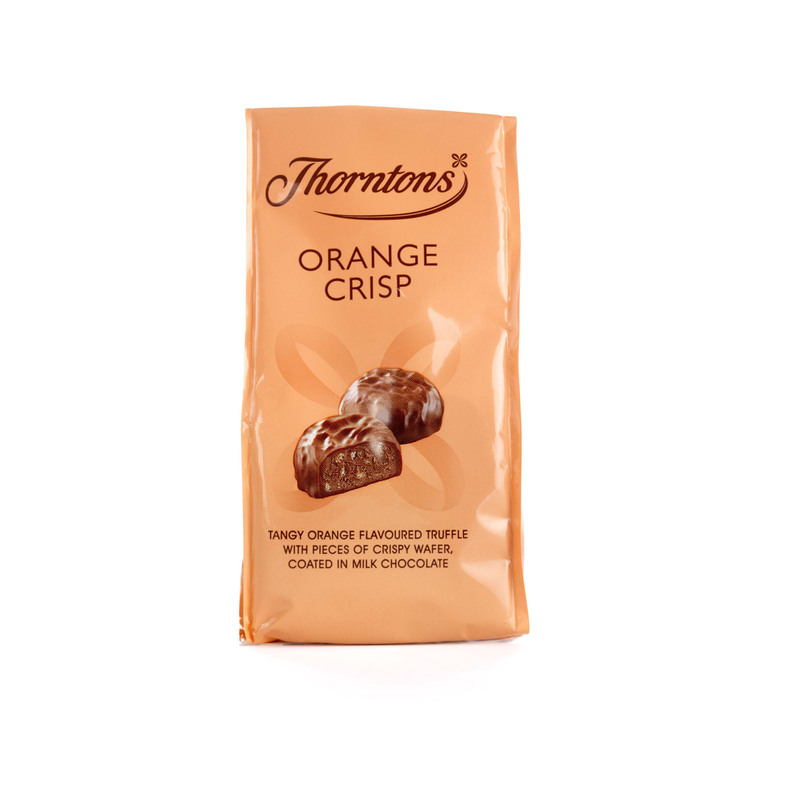 A tempting treat for fans of fruity chocolate flavours, in a new look bag that’s just the right size for one.